Can there ever be too many flowers? : Six-year-old Aiden Boyles reacts as he tries to keep his flower arrangement from tipping over during the JMG! Jammin! Muddin! & Growin! 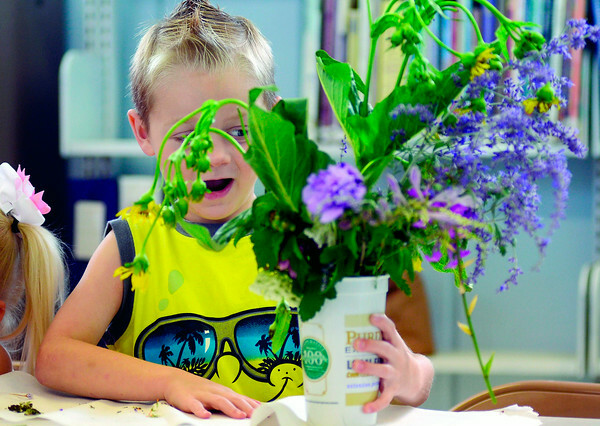 Jr. Master Gardener Program on Tuesday at the west branch of the Vigo County Public Library in West Terre Haute. Aiden and his siblings were learning about different types of blooms and how such attributes as color and smell can naturally attract pollinators.